All classes described below could be arranged at a private venue with sufficient numbers and a suitable venue. Suitable venue would be home, office or community space, (with tables, chairs and adequate lighting above what I can bring) and for homes, no cats, poodles or basenji (allergies, sorry). Please contact me at skyscapesforthesoul [at] gmail [dot] com. Painting for absolute beginners in watercolor - 1-day class $110 includes all materials. June 29th., 9am-5pm approx. 29Palms Art Gallery, 29Palms, CA. 29Palms Art Gallery 29 Palms, CA. Please wear clothes that you won't cry if you get paint on them, though I have a few smocks to share. Bring a snack lunch, the lunch break is short. Call/email gallery book by June 26th. Class maximum 10. 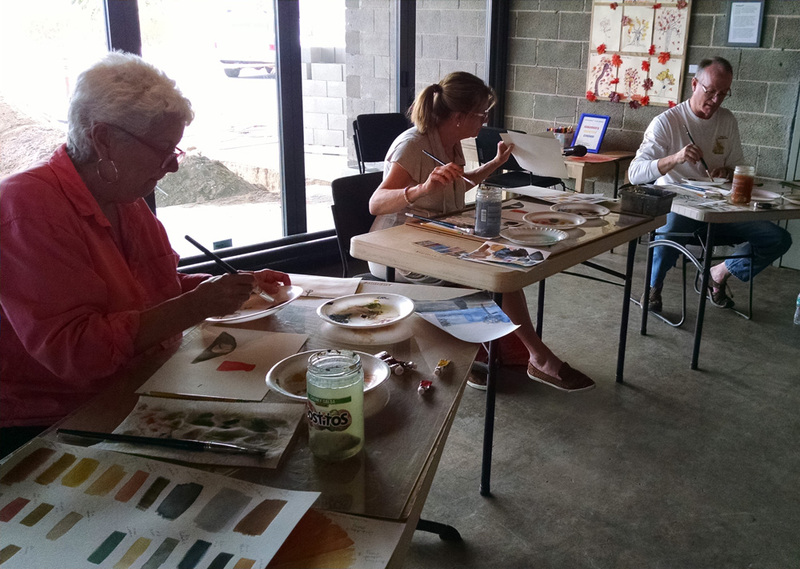 Painting for absolute beginners in watercolor - 1-day class $110 includes all materials. Apr 27th., 9am-5pm approx. Vanguard Gallery, Moreno Valley, CA. Vanguard Gallery Please wear clothes that you won't cry if you get paint on them, though I have a few smocks to share. Bring a snack lunch, the lunch break is short. Call Rick at (562) 556-5178 to book by Apr 25th. Class maximum 10. Class can also be scheduled at mutually good time and location with 3 or more students. Watercolor Collage and cards fun workshop, ages 10+. Have fun finding your creativity and making as many ready-to-frame artworks or greeting cards as you can in the time. 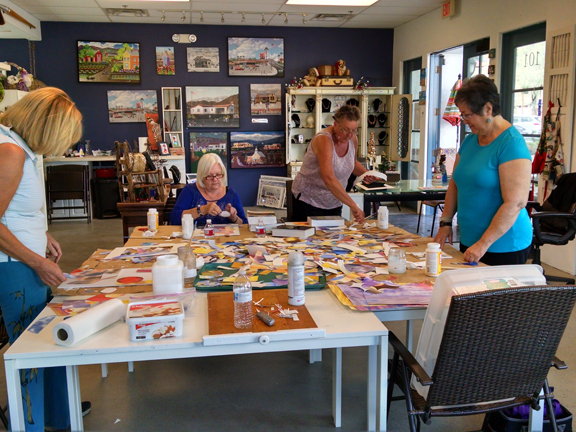 Turn pieces leftover from refractured watercolors into representation, abstract or impressionist art. Get guidance on composition and the best practice techniques on making your idea come together. There's no class like it. Please wear clothes that you won't cry if you get glue on them, though I have a few smocks to share. May 8th 10am-1pm at sm'Art Studio, La Quinta, CA. $45 includes all materials. Contact Alana at (760) 902 7985 by 5pm Apr 8th to book. Class maximum 10.